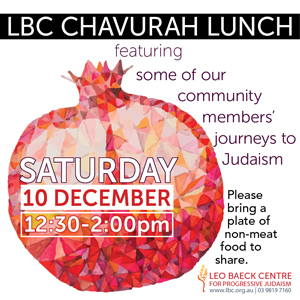 Join us for our monthly chavurah lunch after the morning service. This month we will hear some of our community members talk about their journeys to Judaism and Jewish life choices. Please bring a plate of non-meat food to share.